I miss doing "Up-To" Tuesdays so I'll throw one up real quick. Cooking: World's Greatest Lasagna. It's what dreams are made of, folks. Then...driving to the airport to pick up my Mama! The kids will be stoked. This is the first time she'll visit our sweet home Alabama. We're all excited to see her. I love collages. I will have the wall above our couch covered by the time I'm done with it. In our old house, I used only black frames. Now, I think I'll go in the opposite direction and put up a more eclectic collage. Yes, still. It's a slow moving & VERY LONG novel. I just can't step away. I love them so dearly. 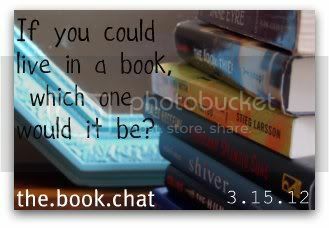 My post for this weeks book chat! Fun. was just added to the Bonnaroo lineup!! This is great news for my BFF who is accompanying me. It's her favorite band. I love that photo wall- we've been meaning to do one too. I bought a few frames but I need to get some pictures printed. I also love that song- it has gotten so popular over the past few weeks. Fun. ok, I get it. I've heard them tons, thank you Spotify.